As the summer holiday season approached, we were once again faced with the difficult question: where to next? Last summer we had a great time in Slovakia, Austria and Hungary, the year before that it was Slovenia, Croatia and Italy. Those regions towards Eastern Europe offer a wealth of interesting sights within short distances and are typically quite a safe bet when it comes to the weather. But since we had already been travelling round that neighbourhood, now it was time to look elsewhere. Both of us had spent time in Asia during the past year and our holiday budget was not too grand, so we tried to come up with a nearby location that would offer both convenience as well as new experiences to enjoy. After the first idea (“hey, let’s fly to Iceland!”) was postponed to a later date, we ended up booking flights to Scotland. If you’re not living in one of the world’s major airline hub cities, the reality is that the availability of flight connections will have an effect on where and how you choose to travel. 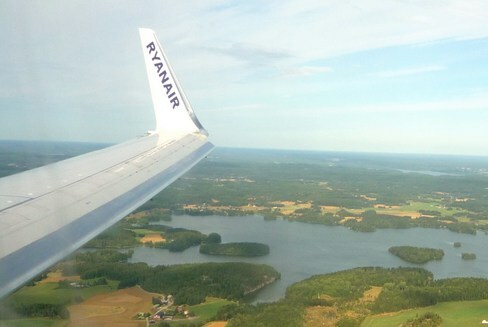 While there’s no direct connection from Helsinki to any of the Scottish cities, luckily Ryanair offers low cost flights from Tampere to Edinburgh. Now, if you’ve been to Tampere-Pirkkala airport, you’ll know it’s not exactly the kind of buzzing international hub that makes you feel like a true jet-setter, rather it’s like being inside a small town bus station when boarding a Ryanair plane through the old Terminal 2. Still, everything worked just fine, the tickets were cheap and, quite surprisingly, our 3 hour flight landed in Edinburgh 1 hour ahead of schedule! Comparing that to the usual HEL-LHR flight times with Finnair and BA, it really made me pay attention to Ryanair’s tagline: “the on-time airline”. Edinburgh was our first destination, but we didn’t plan on staying there for more than 2 days. The Scottish countryside felt like a more attractive environment to explore, plus Edinburgh is not a very inexpensive city to stay in. 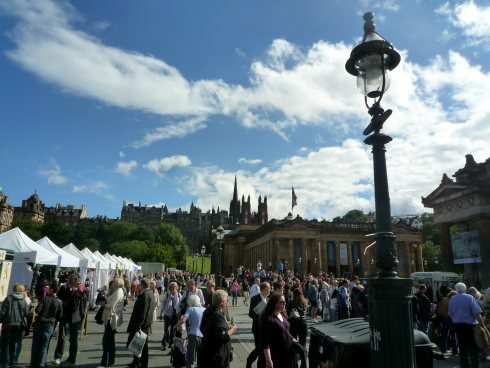 The Fringe festival kept the city center pretty much packed during day and night, offering a nonstop flow of entertainment around every corner. Since we hadn’t made any plans for attending specific events, we mainly focused on touring sights like the Royal Yacht Britannia and the Museum of Scotland, occasionally stopping for a moment to enjoy street artists from all around the world giving their performances to an equally international crowd. To get to our next destination, we hopped into a rental car. 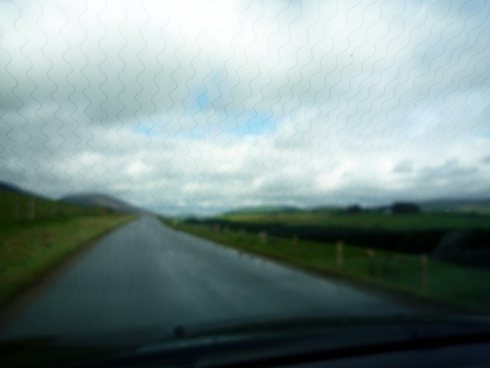 I did have a bit of practice on driving on the “wrong” side of the road when visiting Ireland in June, but getting used to shifting gears with your left hand just ain’t easy to learn. Otherwise driving around Scotland was quite pleasant, as long as you manage your way through the ever so frequent roundabouts. Following the advise of a GPS navigator offers the joy of surprises when you discover yourself driving on winding single-track roads for 20 kilometers. Narrow roads on steep hills were something that we had to get used to when heading up north towards the Highlands. 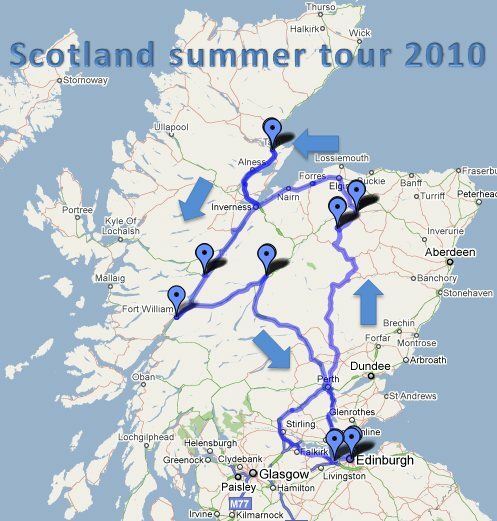 We stayed in 6 different places during our 7 nights in Scotland, so there was quite a bit of driving and check-in/out procedures to complete along the way. 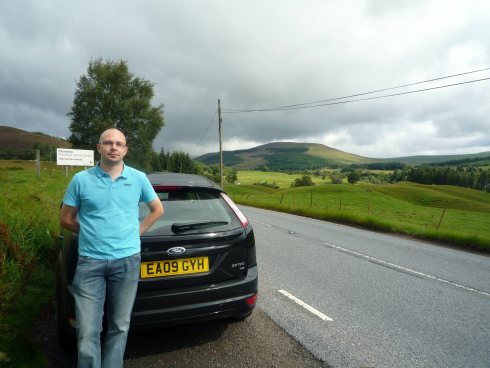 First we visited Dufftown in the Speyside area, famous for it’s whisky distilleries. Then we drove through Inverness to Tain, and still a bit further up north to Dornoch. Next we started coming down south along Loch Ness and stopped at Invergarry. 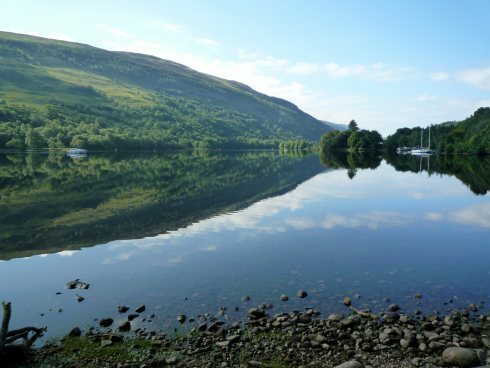 We continued south to Fort William at the end of the Great Glen Fault and stayed in Newtonmore, before returning back to Edinburgh through Stirling. After touring hundreds of miles, I have to say Scotland is a beautiful country indeed. The wilderness gives you the perfect opportunity to calm down and just spend time spotting the countless sheep who inhabit the green fields all around you. The scenery bears resemblance to what I would expect to find in northern Scandinavia, so it’s no wonder the vikings felt right at home when they took charge of the Highlands some 1200 years ago. Ah, whisky, the water of life. The most important export of Scotland and for a good reason. There’s no finer form of alcohol than a single malt Scottish whisky and no better place to explore whisky distilleries than Scotland. In Speyside there’s practically a distillery round every corner. We visited first the very modern facility of The Glenlivet and then Glenfiddich, which is probably the biggest distillery attraction in Scotland. The process of whisky production was thoroughly explained on both tours, which made you all the more anxious for getting a taste of the end product. The sensation of stepping into a warehouse filled with thousands of oak casks full of aging single malts is something your really need to experience with your own nose. 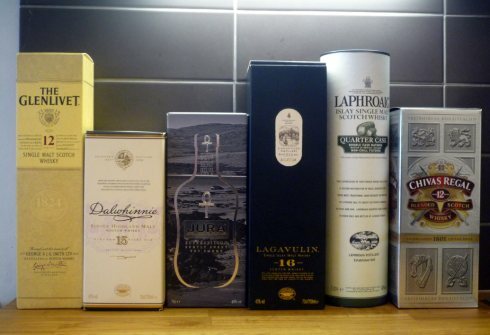 I’ve been gradually developing my taste buds to appreciate the finer side of whiskies and I’m sure this little educational trip worked wonders on that front. Looking at my liquor cabinet back home, I have to say things are quite well when the 12 year old Chivas Regal is the worst bottle whisky in your possession. Did I mention it rains a lot in Scotland? You bet it does. During our 7 day trip, there was one single day when no drops fell from the sky, but other than that it was more a case of “when will it rain” rather than “will it rain today”. Oh well, that was pretty much how I expected it to be. After the record high temperatures in Finland this summer, the Scotland visit was a nice little change of climate, which also reminded us of how great the summer weather had truly been. Normally you always travel from Finland to a warmer place, so when returning home it was bizarre to experience the sunshine and “heat wave” when stepping out of the plane. As always, the full picture set can be found from my Picasa albums. Have a look, get your kilt on and then go explore Scotland yourself!